The two Prime Ministers reiterated the close Cultural, Social, Economic and familial relationships which bind their people. Prime Minister Persad-Bissessar congratulated Prime Mitchell on his overwhelming Feb 19th, 2013 election victory. Prime Minister Mitchell responded by saying, that his visit to Trinidad and Tobago was his first overseas visit since assuming Office in February of this year. Trinidad and Tobago is Grenada’s largest trading partner, accounting for approximately 36% of merchandise trade and 49% of Banking services. Insurance services are also significant between the two countries. 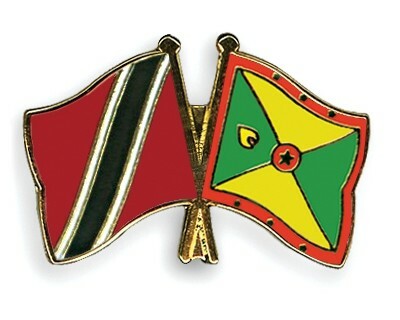 Trinidad and Tobago and Grenada agreed to intensify their working relationship on all aspects of the Trade Agenda. Both Prime Ministers expressed a commitment to implement the Framework Agreement for Cooperation in Energy Sector Development. It was agreed that representatives from the respective Ministries of Energy, will meet at the earliest opportunity to finalise agreement on the joint exploration and exploitation of hydrocarbons in the maritime areas of Trinidad and Tobago and Grenada. In the development of an Indigenous and Responsive National Occupational Standard of Competence leading to certification in high priority areas such as Yachting and Maritime services. This will be certified through the Caribbean Vocational Qualification (CVQ). Trinidad and Tobago indicated its willingness to partner with Grenada to build skills competency and capacity in the Energy sector through the University of Trinidad and Tobago (UTT) and the National Energy Skills Centre (EITT). The two Prime Ministers discussed recent changes in Grenada’s investment thrust; particularly the recent decision to eliminate the Alien Land Holding License for CARICOM Nationals, and initiatives to implement an investment code focused on attracting Private Sector investment and realising public private partnerships. Both countries agreed to develop a joint project in the Agricultural Sector with transfers of technology that would lead to significant leaps in productivity. There was an acknowledgement of the challenges facing the Region in respect of Air and Maritime transport for both goods and passengers. The two Prime Ministers agreed to work closely together on alleviating these challenges. On the issue of Regional Security, both Prime Ministers discussed the operations of the Advanced Coastal Surveillance Radar System which provides Maritime surveillance of the waters between Trinidad and Tobago and Grenada. The Prime Ministers agreed to further cooperate in this area.